The Merchant Navy is an important and vital branch of International commerce. It is modern, innovative and competitive. The ship is a floating plant that presents a prime professional and technological challenge. Your choosing of this profession opens before you the gateway to a career that leads to command of a ship that crosses oceans and reaches every continent. Command includes managerial responsibility for an organization worth hundreds of millions of dollars. To be a Merchant Navy officer means being part of a modern advanced logistic set-up. To supervise an international professional crew and to be in contact with international administrations and at the same time control the latest advanced equipment. A MARINE CAREER promises a professional and challenging profession together with generous employment conditions, high quality of life on new and safe ships. In addition, long term professional stability and advancement through the ranks accompanied by regular professional training and support until pension. In a world of changing work conditions and uncertainty that is present in many professions, this stability is extremely important. To those interested, there are two professional branches open before you today, Deck Officer and Engineer Officer. 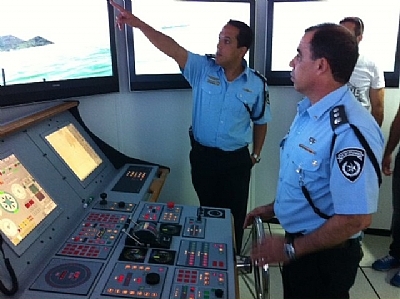 The Deck training leads to the position of an Officer with many responsibilities, from navigating the ship safely with its cargo and crew to its destination. 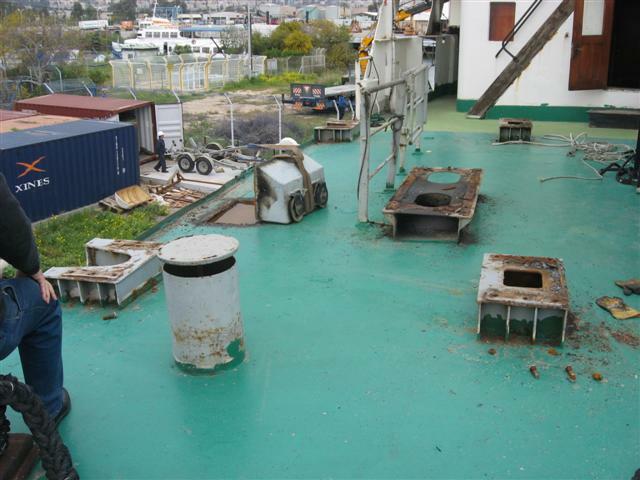 Loading and discharge of cargo, ship maintenance, watch-keeping on the bridge and crew management. 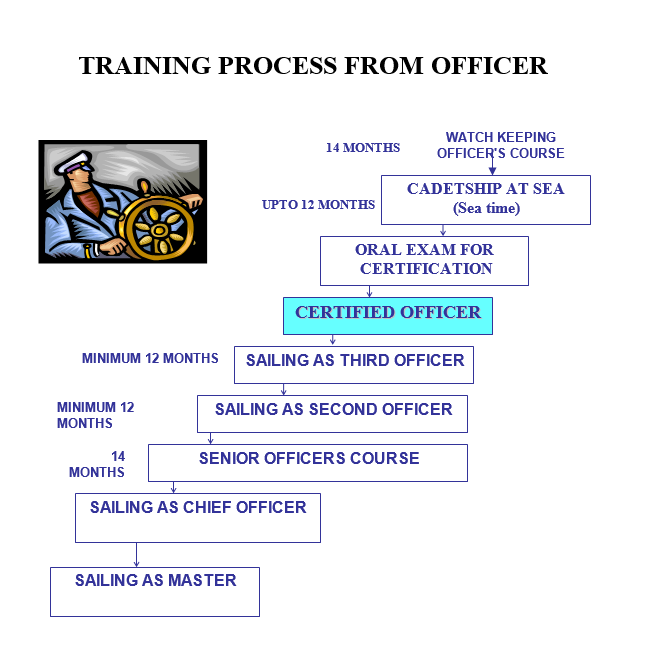 Promotions can lead to the rank of Captain which is the highest rank on board ship. 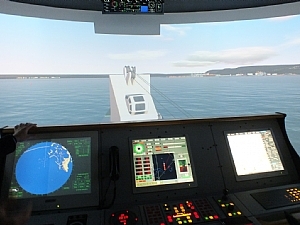 The Engine training leads to the position of an Engineer Officer parallel to the Deck Officer up till the rank of Chief Engineer, equal to that of the Captain. The Engineer Officer is responsible for the beating heart that moves the ship; a huge engine room in a modern ship that is run by computerized automation. 1. Age up to 33 but can be extended till 39 in special cases. 3. High school graduate with 12 years study. 4. 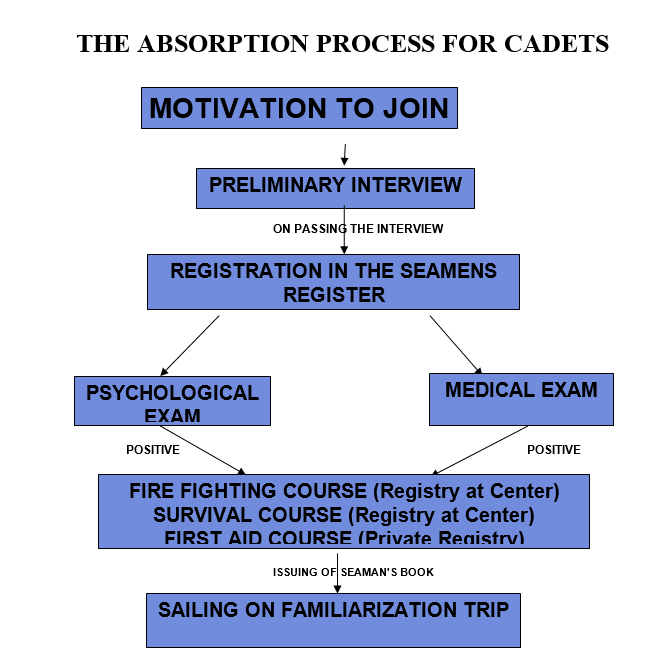 After passing the preliminary tests for suitability for service at sea. 5. Qualified Engineers will be accepted for special shortened training and advancement in ranks. For the Deck side, University graduates will be accepted.